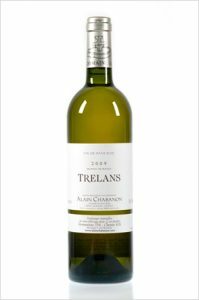 A wine that owes it name to a village in the Aubrac, from where part of Alain Chabanon’s family originated. It is a unique blend of Chenin and Vermentino. Average age of vines : Vermentino: 17 years, Chenin: 25 years. Terroir and Vineyard Management: Arid, stony, clay and limestone soil. The vines are farmed biodynamically, certified by Demeter. The earth is ploughed and receives absolutely no fertilizer. Harvest : Morning only hand picking into small open crates. Vinification : Pneumatic pressing, light cold settling. No yeast added. Fermentation in stainless steel vats at medium temperature. Maturing : 32 months, including 12 in French oak barrels. Bottled in February 2017. Serving suggestions: Serve at 12 to 14 °C, as an aperitif, with top quality fish in sauce, or with a good Roquefort cheese. At its peak : probably from 2020 to 2024.